The website, www.Insuremyrentalcar.com is owned by Halo Insurance Services Limited and operated by the Direct Marketing Group (a U.S. licensed agent, known as DMG Insurance Agency in California) for the purpose of providing insurance products and other non-insurance products and services. All references to Insuremyrentalcar.com refer to both Halo Insurance Services and the Direct Marketing Group jointly. A customer is deemed to have accepted these Terms and any other notices posted on the Insuremyrentalcar website, by using the Insuremyrentalcar service. After completing an online application form on our website, you agree that you will receive an email from us. This email will confirm you have used our website and that you have purchased an insurance product. You cannot opt out of receiving this email. These rules are subject to changes and revisions by Insuremyrentalcar without prior written notice. Insuremyrentalcar will strive to respond to customer enquiries as soon as possible, usually on the same business day and within a maximum of two business days. It is strictly forbidden for any user to tamper with, manipulate, or apply third party resources to affect the standard operational use of the Insuremyrentalcar website or application software. Legal action may be taken in the event of such misuse. Customers should print out these terms and conditions, the Key facts document, policy wording and certificate of insurance that come with your policy, and keep them in an easily accessible place. If a customer does not comply with the terms and notices specified on the Insuremyrentalcar website, the customer's policy may be suspended or cancelled. Insuremyrentalcar will provide you with quotations based on the information you have provided to us. If you do not provide information and answers that are true and accurate and disclose all relevant facts, your insurance policy may become invalid and claims may not be paid. If your insurance is invalid, you could also be liable for any third party costs in the event of an accident. If you have any doubt about whether further information about you, not requested by Insuremyrentalcar is required to be disclosed to the insurer, or if you think that something shown to you may be incorrect, please contact us before you accept the quotation. Insuremyrentalcar accepts no responsibility for any goods or services referred to on its website not under its control. Insuremyrentalcar makes no warranties or representations for these services. 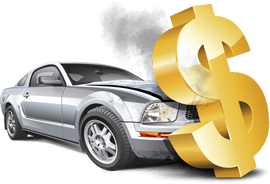 The customer indemnifies Insuremyrentalcar for any loss or damage arising from the use of these goods or services from any third party. Insuremyrentalcar will not have any liability for any loss or damage without limitation that are alleged to have resulted from the Insuremyrentalcar website or its content, including but not limited to, delays or interruptions in service or communication, a customer's or any other person's misuse of the site and its content, and any errors or omissions in content. We accept no liability out of the use of this web site nor of any links that are provided to any third party site. None of the information provided on this website is intended to be used as financial advice or any other advice. Insuremyrentalcar may at any time require the customer to provide documentation to confirm their identity at any time and at Insuremyrentalcar's sole discretion. The use of proxy servers, except for those assigned by ISPs for normal use is strictly forbidden. This rule also applies to, but is not limited to, anonymous website proxies and any other means to hide your identity. Payment is by credit card, debit card or PayPal and is required at the time you purchase the policy. Insuremyrentalcar may, at its sole discretion, cease to provide service or payment to certain users or to users paying with certain credit cards. Insuremyrentalcar reserves the right without explanation to refuse purchase from any customer. After 10 days of purchase: If you decide to cancel the policy after 10 days of purchasing, then no refund or premium is available. If, however, your policy has not incepted, then your premium will be refunded in full minus an administration fee. Refunds are calculated in accordance with the policy terms and conditions and will be refunded to the card from which the purchase was made within three working days of the cancellation being processed. By using this site you acknowledge that our principal means of communication is via email and therefore it is incumbent on you to ensure that we have your current email address. Any notice sent will be deemed to be delivered at the time of sending it. It is every customer's responsibility to inform Insuremyrentalcar if there is any change to this address. Insuremyrentalcar reserves the right to amend the information on this website at any time and without prior notice. The Terms and Conditions may be amended at any time and Insuremyrentalcar will provide notice of such amendments by posting the changes on the website. Insuremyrentalcar may suspend trading as a result of circumstances within or outside its control. Insuremyrentalcar will not have any liability for any loss or damage without limitation that are alleged to have resulted from this suspension of service.